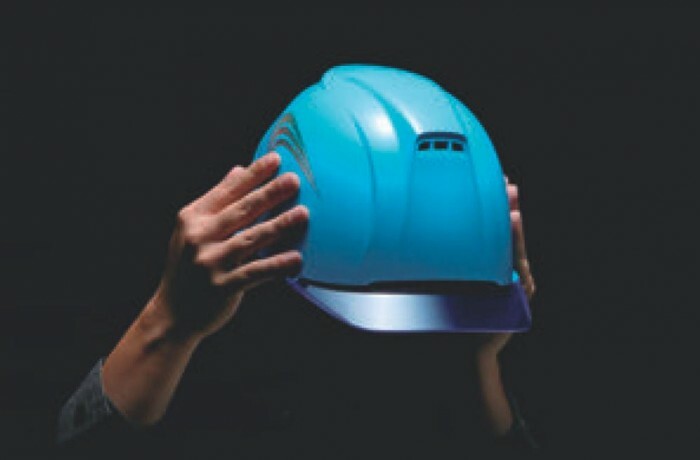 A safety hat has overwhelming light weight and marvelous air permeability as well as measures for water protection against rainy weather and the like. 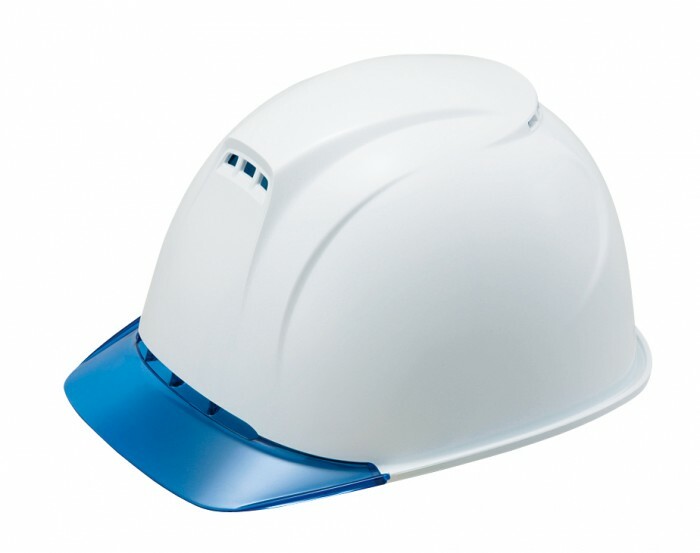 A front air hole 13 is provided in a visor portion 12 in front of a hat body 10 in a horizontal direction, the visor portion 12 is defined by a streamlined curvature so that an ambient air can be brought in smoothly, and an eave portion 15 of the hat body 10 covers a top end 12 a of the visor portion 12 from the outside without contacting the same to form the front air hole 13 . An air hole 17 is also provided at a back of a peak portion of the hat body 10 . 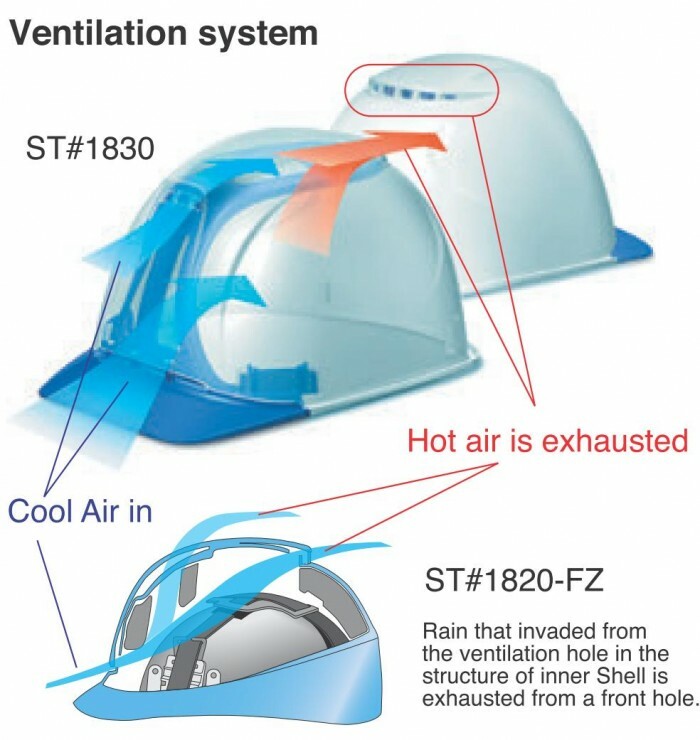 The front air hole 13 mainly functions as an inlet for the ambient air, and the rear air hole 17 functions as an outlet for the air introduced into and staying inside the hat body 10. 'Helmesh' has hit the Japanese market; 100,000 units sold per year. TANIZAWA is our licensee of Japanese market. 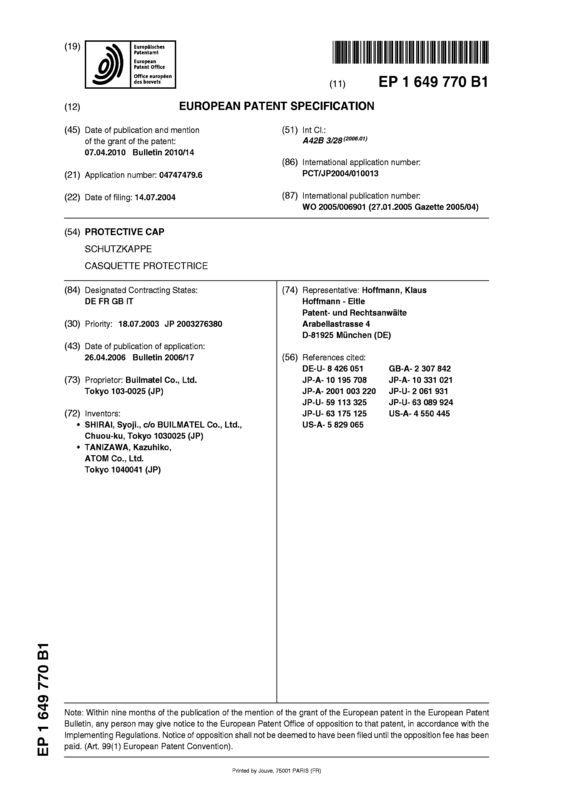 Page created at 2019-04-23 6:35:24, Patent Auction Time.